Raytheon Systems Ltd (RSL) in Harlow has been chosen by the Ministry of Defence to manufacture a suite of aircraft identification systems for its Chinook Mk2 helicopter fleet and RAF training aircraft in contracts worth £5.9 million.Raytheon Systems Ltd (RSL) in Harlow has been chosen by the Ministry of Defence to manufacture a suite of aircraft identification systems for its Chinook Mk2 helicopter fleet and RAF training aircraft in contracts worth £5.9 million. The Successor Identific-ation Friend or Foe (SIFF) systems will be fitted into nine of the RAF’s Dominie T navigation training aircraft by January 2008. Following an “aggressive” timescale, the Chinook work should be complete by the end of February. Identification Friend or Foe (IFF) systems are designed to overcome the difficulties of recognising the increasingly similar looking aircraft used in airborne attacks on ground targets, which are generally carried out at low altitude and high speeds, giving the defender little time to react. Raytheon is the MoD’s prime contractor on its £100m SIFF programme, a multi-phase project to modernise all three Armed Forces with advanced Mark XII/Mode S compatible IFF systems. Eventually over 1,000 pieces of SIFF equipment will be fitted across some 40 different types, including warships, submarines, helicopters, missile systems, fighter and transport aircraft. The £4.3m RAF Dominie work will see the transponders and associated equipment manufactured at the Harlow facility – home to the SIFF headquarters – while the installation work will be undertaken at Raytheon Aircraft Services in North Wales. The Chinook contract, which covers transponders, CDUs, termination units and mounting kits, is valued at around £1.6m and includes initial support to Boeing in relation to the actual integration of SIFF onto Chinook. The 2004 National Audit Office Major Projects Report cited SIFF as one of only two examples of successful MoD projects, having met its key cost and delivery targets. 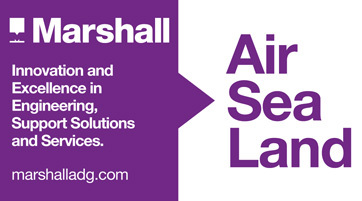 • RSL has won a second multi-million contract from Peel Airports Group for an air traffic control radar system. The latest order is for the supply and installation of an ASR-10SS Mk 2 S-Band Prim-ary Surveillance Radar at Liverpool John Lennon Airport.